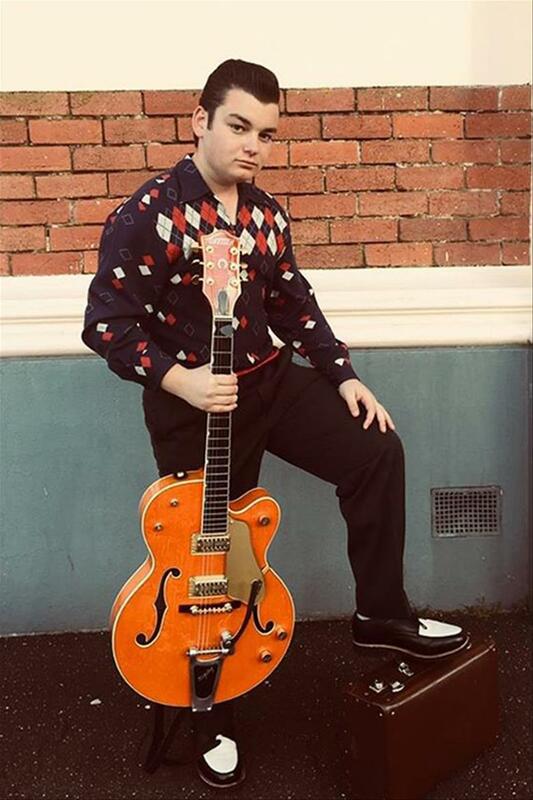 ‘Kid’ James (James Schembri) is the new kid on the block in the Melbourne rockabilly scene. At just 16 years of age, James is playing traditional rockabilly tunes just like teenagers performed them back in the 1950s! A naturally talented musician, James picked up the guitar at age six and spent his formative years listening to Johnny Cash, Warren Smith, Charlie Feathers and Elvis Presley. At the age of 14, he joined the ‘Shane Magro Combo’ as well as forming a duo with Shane as ‘The Tennessee Two’ in Melbourne. James continues on his musical journey, now taking centre stage with Jalopy Demons in the new outfit Kid James & The Jalopys. Kid James’ desire is to share his passion for authentic rockabilly music live on stage and you’ll be blown away when you catch them at GreazeFest in August.